Me too, Joanna. Even though I know that falling into the comparison trap can sap the creative energy out off you, it’s hard to avoid it because it’s human nature to compare ourselves to others. 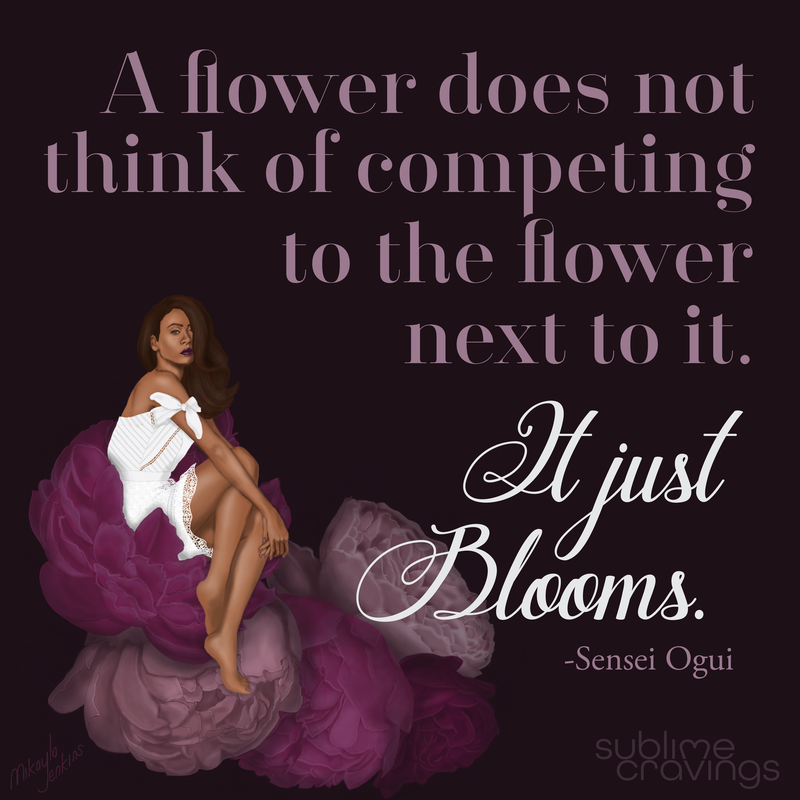 This quote is my personal reminder not to get caught up in comparing myself to others. Beautifully put Mikayla! This quote is very meaningful and helpful to keep in mind. Your illustration is also stunning. I absolutely love the oversized flowers and deep purples you’ve used.